The formation of life on Earth is strongly related to the abundance of water (H2O). Astronomers searching for life around other stars want to understand how frequently and under what conditions water forms. In other words, they try to estimate the abundance of water molecules in protoplanetary disks. It is easier to predict water abundances in protoplanetary disks, if its formation mechanism is understood. Protoplanetary disks are circumstellar disks, which form around a star during star formation and they are considered as the birth place of planets. The underlying question is whether water has formed in the protoplanetary disk itself (see this astrobite) or whether it has been directly inherited from its surrounding, namely the interstellar medium. The authors of today’s paper claim to have found an answer to this fundamental question. Their results are based on a few elementary conditions for water formation: 1) You need to have rather cold temperature (below 50 K), 2) you need oxygen and 3) you need a source to ionize molecular hydrogen significantly. Ionizing molecular hydrogen means that neutral H2 gas is hit by a photon and emits one electron, such that it becomes positively charged. Assuming the region of interest (e.g. a molecular cloud consisting of mainly H2) satisfies all these three properties, water forms through two mechanisms. Fortunately, both chemical paths have in common that they require a contribution of H2D⁺ (D for deuterium, which is an hydrogen atom with one extra neutron in the nucleus). This brings us to the crucial concept of the paper. Since it is difficult to draw definite conclusions just from the water abundance in the disk, the authors investigate the characteristics of the water molecules themselves. Figure 1 shows measurements of the D/H ratio in water molecules of objects (mostly comets) in the solar system and the ratio of D/H in pure molecular hydrogen gas of solar system bodies like the Sun, Jupiter or Uranus. You can see that the ratio is enhanced by a factor of about 10 for water compared to the ratio of the bulk gas (H2), namely the value in the Sun. Moreover, you can see that the D/H ratio of water is similar for objects in the interstellar medium and solar system bodies. Consequently, a model predicting the water abundance in the solar system has to reproduce the enhancement of deuterium in water with respect to the bulk gas (H2). Figure 1: Deuterium to hydrogen ratio for different objects in the solar system (dark blue symbols) and objects in the interstellar medium (yellow symbols). The grey regime refers to the D/H ratio in molecular hydrogen (H2) and the white regime refers to the ratio in water (H2). The light blue bar corresponds to the ratio of D/H in (H2) of the sun, referred to as bulk gas value. The authors model a static disk including a simplified deuterium-reaction network evolution for 1 Myr with an initial D/H ratio of the bulk gas 2*10-5 and compare it to a simulation assuming an initial value reflecting the interstellar ratio of 10-3. They picked 1 Myr because this is the estimated period for which the disk is considered as gas-rich. In Fig. 2, you can see that the ratio in water stays nearly constant during the evolution of the disk and hence the ratio is far to low to explain the measured values of Fig.1 as for instance the value for Earth’s Ocean (correctly speaking the VSMOW, the Vienna Standard Mean Ocean Water). Why is that? Remember the three conditions for H2O formation: ionization, oxygen and cold temperature. According to the authors, in most locations of the disk these conditions are not met simultaneously. Moreover, the D/H ratio stays constant when assuming an initial ratio similar to the interstellar value. Due to the fact that the interstellar ratios are of similar values, the authors interpret their results as evidence for water being inherited from the parent molecular cloud. They suggest that the solar system underwent a period of high-temperature at the beginning of its formation and that a significant amount of water was added to the system at a later point by in-falling deuterium-enriched interstellar ices. Fine, but you may ask yourself how realistic is the underlying model? One of the assumptions the authors make is that ionization is reduced. They argue that the effect of stellar winds yields a smaller ionization rate through X-rays emitted by the Sun and stellar winds shield the protoplanetary disk from galactic cosmic rays. By overstating this effect, they potentially underestimate the degree of ionization, but conceptually their assumption of a shielding stellar wind is well motivated and probably accurate. Taking everything into account, their general point that deuterium enriched water cannot be produced inside the disk by the ion chemistry is solid and the conclusion that a significant fraction of the water in the solar system stems from the parent molecular cloud is very convincing. But you may ask, why it is important to care about the origin of water? Do the authors’ results tell us anything else? Actually, they do! 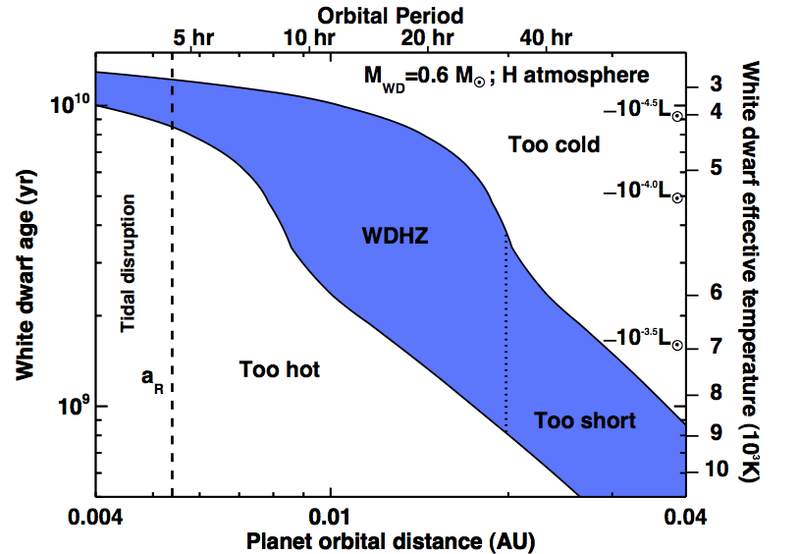 They may have consequences for the interpretation of other planetary systems. Assuming that the inheritance of water from the parent molecular cloud occurs in other systems, too, water should be widely abundant there as well. Consequently, chances seem to be not too small of you just missed an awesome pool party on an exoplanet, while you are finishing this bite. Figure 2: Distribution of the D/H ratio illustrated as a blue line in H-5D+ (left) and in H2O (right) after 1 Myr of simulation for an initial D/H value of 2*10-5. The red dashed line corresponds to the D/H value in the Sun (bulk gas) and the black dotted lines corresponds to the Vienna Standard Mean Ocean Water (SMOW), which is an average value of the D/H ratio for the oceans on Earth. 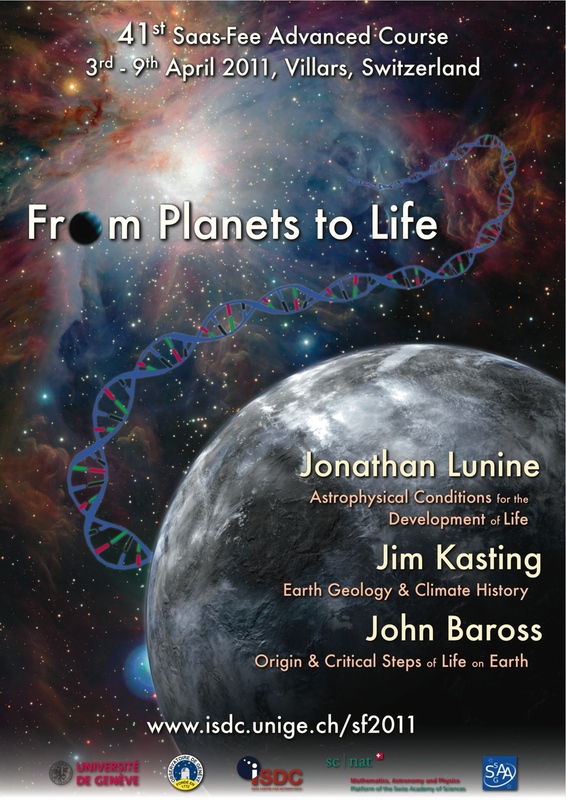 Astrobiology: Seeking Out the Origin of Life, New Life, and New Civilizations Solar System is Oxygen-Rich Compared to Surroundings Detecting Transiting Planets Around White Dwarfs A new population of comets? What an exciting and interesting article! It’s so riveting to read about the presence of water outside of the earth. I wonder though, is it possible that there are other life forms that are not as water-based as life on earth is?